Since The User Identification Is Necessary To Access The Services; The User Shall Use Only His/Her Own Identification. If You Use This Site, You Are Responsible For Maintaining The Confidentially Of Your Account And Password And For Restricting Access To Your Computer, And You Hereby Agree To Accept Responsibility For All Activities That Occur Under Your Account Or Password. Www.navimumbaihouses.com Reserves The Right To Refuse Services, Terminate Accounts, Remove Or Edit Content, Or Cancel Subscription In Their Sole Discretion. A Person In Whose Favor A Security Interest Is Created Or Provided For Under A Security Agreement, Whether Or Not Any Obligation To Be Secured Is Outstanding.Transactions On The Website Are Secure And Protected.To Protect The Secrecy Of His User Identification And/Or Password The User Shall Take All Such Measures As May Be Necessary (Including But Without Limiting To Changing His Password From Time To Time And Shall Not Reveal The Same To Any Other Person. The Exclusions And Limitations In This Section Apply To The Maximum Extent Permitted By The Applicable Law, And The Parties Expressly Agree That In The Event Of Any Statute, Rule, Regulations Or Amendment Coming Into Force That Would Result In The Company/Website Incurring Any Form Of Liability Whatsover, These Terms And The Policy Will Stand Terminated One Day Before The Coming Into Effect Of Such Statute, Rules, Regulation Or Amendment. If NMH REALTY SERVICES PVT. LTD. OR NMH REALTY SERVICES PVT. LTD. Authorized Representative Has Been Notified Orally Or In Written Of The Possibility About Such Damages. Because Such Jurisdiction Do Not Allow Limitations On Implied Warranties, Or Limitations, Of Liability For Consequential Or Incidental Damages, These Limitations May Not Apply To You. 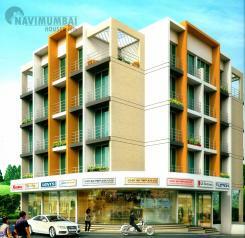 By Filling The Enquiry Form At www.navimumbaihouses.com; navimumbaihouses.com Does Not Assure Or Guarantee Any Responses From Builder/Agents/Owners. The User Agrees And Acknowledges That navimumbaihouses.com Shall Use The Information Provided To Contact The User For Any Purpose Including But Not Limited To Advice On Property Matters, navimumbaihouses.com Also Reserves The Right To Send The Information To Other Parties.This Dfence And Indemnification Obligation Will Survive Termination, Modification Or Expiration Of These Terms And Your Use Of The Services And The Website. The Company May At Its Sole Discretion And Without Assigning Any Reason Whatsoever At Any Time Deactivate Or/And Suspend The User’s Access To navimumbaihouses.com And/Or The Services (As The Case May Be) Without Notice To Carry Out System Maintenance Or/And Upgrading Or/And Testing Or/And Repairs Or/ And Other Related Work. Without Prejudice To Any Other Provisions Of This Agreement, The Company Shall Not Be Liable For Any Loss Or/And Damage Or/And Costs Or/And Expense That The User May Suffer Or Incur, And No Fees Or/And Charges Payable By The User To The Company Shall Be Deducted Or Refunded Or Rebated , As A Result Of Such Deactivation Or/And Suspension. By Using This Website, And Providing His/Her Contact Information To The Company Through The Website, The User Hereby Agrees And Consents To Receiving Calls,Autodialed And/Or Pre-Recorded Message Calls, E-Mails And Sms From The Company And/Or Any Of Its Affiliates Or Partners At Any Time, Subject To The Policy. In The Event That The User Wishes To Stop Receiving Any Such Marketing Or Promotional Calls/Email Message/Text Messages The User May Send An E-Mail To The Effect With The Subject, The User Agrees And Acknowledge That It May Take Up To Seven (7) Business Days For The Company To Give Effect To Such Request By The User. We May Also Send Residents Occasional E-Mail Bulletins Encouraging Them To Log In To The Network Or Take Advantage Of Various Features Or Offers, Unless Such Residents Have Opted Not To Receive These E-Mails. These E-Mails May Also Contain Neighbourhood Information, Tips And Suggestions Or Any Other Offer Provided By Third Party. NMH Realty Services Pvt. Ltd. Does Not Take Any Responsibility Of The Validity Of Any Of These Offers, If We Make These E-Mails Available To Residents In Your Network, You Will Be Able To Opt In Or Out Of These E-Mails At Any Time By Updating Your Preferences Through Your "Settings" Page. The Use Of This Website By The User, Such As Browsing The Website Is Free Of Cost. All The Information Through Our Portal Is Absolutely Free.Their Are No Extra Charges Like Other Real Estate Portal Charge.Advertisement On Our Portals Of Your Property Is Absolutely Free. 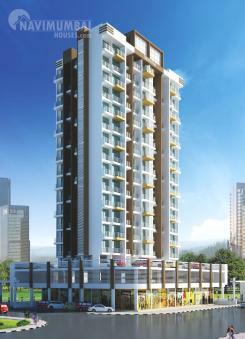 The Website Is An Online Service Platform That Gives Advises And Recommendations Regarding Real Estate Properties Across The Navi Mumbai. And NMH REALTY SERVICES PVT. LTD. Is One Of The Best Online Platform To Be Preferred And Get The Best Options Regarding User’s Budget And Also Provide The Best Services Later On. Hereafter NMH REALTY SERVICES PVT. LTD Also Post Offers And Best Options For The Customers. And Also Provide Them The Best Services. No Permission Is Granted To Download Any Copy Of The Materials (Information Or Software) On NMH REALTY SERVICES PVT. 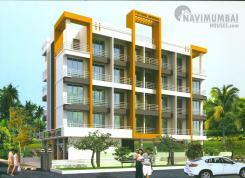 LTD. (NAVI MUMBAI HOUSES) Website For Any Purpose. 5) Transfer The Materials To Another Person Or “Mirror” The Materials On Any Other Server. 1.Access Data Not Intended For You Or Log Into Server Or Account That You Are Not Authorized To Access. 2.Attempt To Probe, Scan Or Test The Vulnerability Of A System Or Network. 3. Attempt To Use The Services Only For The Purpose For Which It Is Subscribed. 4. 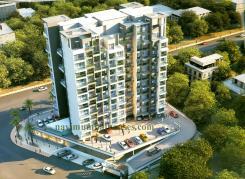 User Undertake That The Services Offered By NMH REALTY SERVICES PVT. LTD Shall Not Be Utilised To Upload, Post, Email, Transmit Or Otherwise Make Available Either Directly Or Indirectly, Unsolicited Bulk Email Or Unsolicited Commercial E-Mail. 5. User Shall Not Share The Services With Any Other Person Without The Prior Written Approval Of The Company. 6. User Shall Not Use The Services For Any Unlawful Purposes Including Without Limitations Criminal Purposes. 7. User Shall Not Copy, Distribute, Download, Display, Perform, Reproduce, Modify, Edit, Alter, Enhance, Broadcast Or Tamper With In Any Way Or Othrwise Use Any Material Contained In NMH REALTY SERVICES PVT. LTD Except As Permitted. 8. User Shall Be Prohibited If They Persistently Send Messages Or Make Postings On NMH REALTY SERVICES PVT.LTD To Any Other User Or Any Other Associate From NMH REALTY SERVICES PVT. 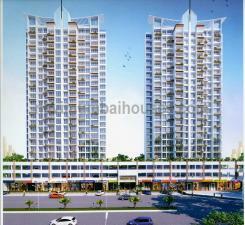 LTD Company Who Access NMH REALTY SERVICES PVT. LTD Without Reasonable Cause Or For Causing Any Threat Or/And Harassment Or/And Annoyance Or/And Anxiety Or/And Other Inconvenience Whatsoever Caused Any Person. 9. Company Strongly Opposes Spam, Which Floods The Internet With Unwanted And Unsolicited Email And Deteriorates The Performance And Availability Of The NMH REALTY SERVICES PVT. 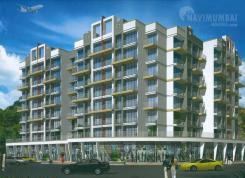 Ltd Site I.E (navimumbaihouses.com). All Form Of Spam, Or Any Other Activities That Have The Effect Of Facilitating Spam, Are Strictly Prohibited. 10. Threatens The Unity, Integrity, Defence, Security Or Sovereignty Of India, Friendly Realtions Withn Foreign States, Or Public Orders Or Causes Incitement To The Commission Of Any Cognisable Offence Or Prevents Investigation Of Any Offence Or Is Insulting Any Other Nation. By Agreeing To Post A Property Listing Or Requirement At The Website Or Responding To And Advertising On Navi Mumbai Houses Or By Using The Services Of Website, The User Hereby Acknowledges And Allows Website. Its Partners And Other Users Of The Website To Get In Touch With Him/Her From Time To Time For Intimating The Users On Events, Potential Buyers, Tenants Or Properties They Might Be Interested In. Website Can Use The Users Email Address And/Or Contact Numbers For This Purpose Irrespective Of The User’s Registration With The “National Do Not Call Registry” And Will Override Any Such Registrations. Navi Mumbai Houses May Track The Ip Address Of Your Computer And Save Certain Information On Your System In The Form Of Cookies. You Have The Option Of Accepting Or Declining The Cookies Of This Website By Changing The Settings Of Your Browser.